•This beautiful stoneware beer stein was handcrafted in Germany by King. •This new stein has a pewter lid. •The handpainted decor shows the famous Nuernberg (Nuremberg) Christmas Market •On the sides, there are handpainted edelweiss flowers. •This large 1/2 liter stein is about 9.5 inches tall. •Limited Edition of 1,000 Pieces •This part number consists of ONE stein. 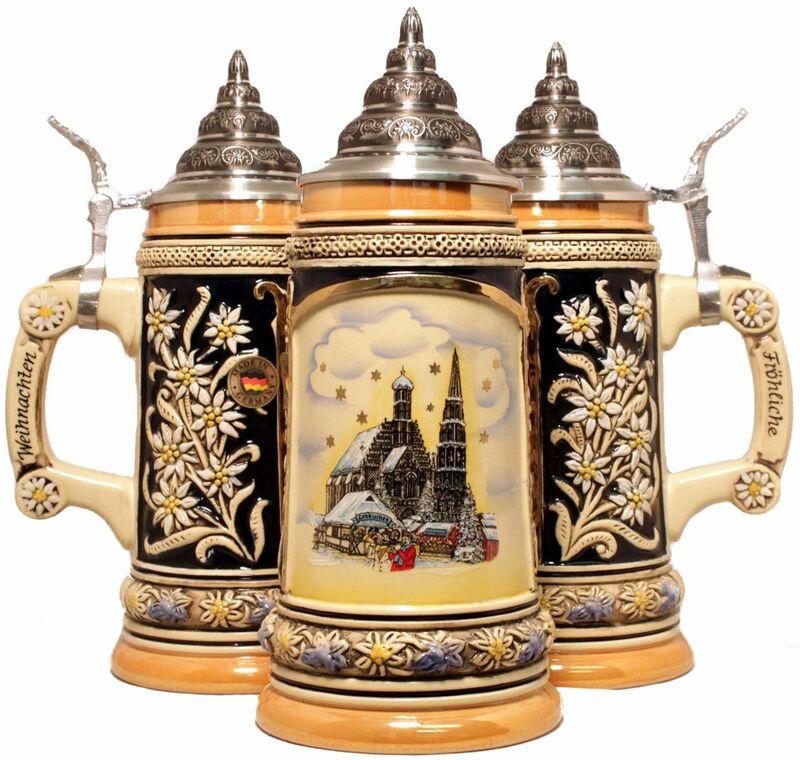 •King-Werks, also known as Wuerfel & Mueller, is one of two remaining German stein companies that still produce 100% of their steins in Germany with 100% German materials and labor.